How much tax do we pay? This page summarises the main rates and allowances. The current tax year runs from 6 April 2019 to 5 April 2020. Savings or investments held in ISAs are exempt from income and capital gains tax. Taxable income includes earnings, pension withdrawals, cash interest, fixed interest income, dividends and rent. 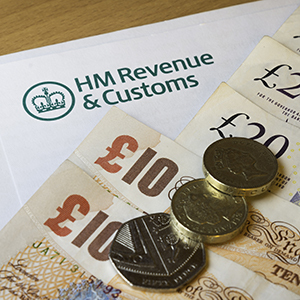 Income from savings or investments held within an ISA are not taxed. The dividend and personal savings allowances apply after the personal allowance. Anything within these allowances still counts towards the basic and/or higher rate tax bands. The personal allowance reduces by £1 for every £2 of income above £100,000, and is therefore lost completely if taxable income exceeds £125,000 in 2019/20. The transferable tax allowance only applies where neither individual is a higher or additional rate tax payer. For Scottish tax payers, the situation is more complex. Visit https://www.gov.uk/scottish-rate-income-tax for further information. There is a 0% starting rate for savings income up to £5,000 that applies when total income is less than £16,500. Higher rate threshold (standard personal allowance + basic rate band) is £45,000. Non-savings income uses up the starting rate for savings. CGT is charged on any profits (the ‘gains’) you make when you sell (or transfer) shares and unit trusts or other assets such as a second home. Capital gains are taxed differently from income, and you have a separate personal allowance for capital gains (in addition to your personal allowance for income). CGT is charged differently for business and non-business assets. * Capital gains on residential property which is not a main residence incur a tax surcharge. SDLT is charged when you buy residential land or property. Tax relief on pension contributions has not changed since 2016/17. * Higher/additional rate tax relief is restricted to the amount of higher/additional rate tax paid. This assumes no other taxable income. The amount you can contribute to a pension (and still benefit from tax relief) depends on your earnings. However, this is subject to an Annual Allowance of £40,000, and for high earners, the Annual Allowance is subject to tapering, down to a minimum of £10,000. If you have already flexibly accessed your pension (e.g. in drawdown) then a reduced Money Purchase Annual Allowance of just £4,000 applies. In addition to these limits, there is an overall Lifetime Allowance which has risen to £1,055,000 in 2019-20 on the total value of your pension rights. If the value of your pensions exceeds this amount on death, at retirement or at age 75, the excess could be taxed at up to 55%. The state pension has gone up by 2.6% for 2019-20. In real terms this means the state pension will increase by £4.25 a week to £168.60. The state pension is increased every year according to the ‘triple lock’ formula which means it increased by the highest of consumer price index inflation, earnings or 2.5 per cent.